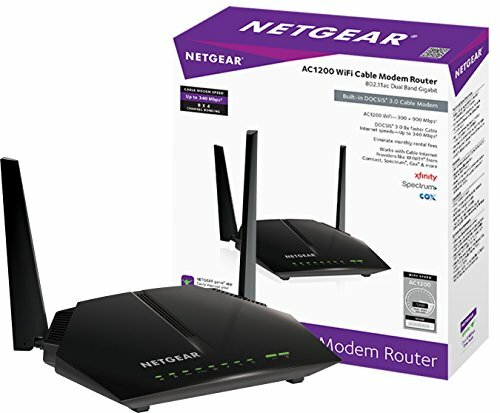 The Netgear C6220 Wifi-modem is a popular choice for those who want a combo modem/router that performs well on a budget. With the price hovering around $100, the C6220-100NAS has up to 343mbps download speeds, 8x4 channels and AC1200 wifi connectivity, making it ideal for plans up to 100mbps (any higher and we recommend the AC1600 model). This device is compatible with many cable providers and does not have a telephone port.